school to come to UVA? Why did you transfer to UVA? Never fear, curious world- I am here to answer any and all questions about the UVA transfer experience! for a plethora of different reasons and they have varying experiences with adjustment and integration. doing so through the method of myth-busting. Let’s bust some transfer students myths! could join organizations that worked to further enhance the transfer experience. first-year dorms and forge meaningful friendships in their first year. great a college family as anyone who lived in dorms. Depend on those CIOs, they won’t let you down! Myth #3: Transferring makes graduating in four years difficult/impossible. Myth #4: Transfer students can’t study abroad. in your credits and study abroad in four years, you can go during the summer or during a January term. Myth #5: It is more difficult to join CIOs (clubs) at UVA when you are a transfer student. select few organizations that try to recruit mainly first-years. These, however, will be a small majority. I made lots of first year friends who were going through similar adjustment periods like myself. about transfer students on grounds. do so. I felt that I was warmly welcomed into the Wahoo community and I promise that you will too! It may be hard to believe now, but your first year will fly by. Cling to it while you can. Wake up each day at dawn, meet every single person in the quarter-mile radius of your dorm complex, wile away every night in deep discussions in the lounge. At the end of the year, you’ll be exhausted, bleary-eyed, and in love. And also in need of housing for the following year. Never fear. Upperclassmen housing is more accessible than it seems. While many second years (about 50%) choose to live off-Grounds by signing leases for apartments or houses, on-Grounds housing is always an option. I mean that quite literally: on-Grounds housing is guaranteed for anyone who lived on Grounds in the year prior, which means that every first-year student has guaranteed on-Grounds housing *should they choose to apply for it. But what housing is available on-Grounds? Is it any good? Will I be isolated, lonely and far away from all my friends as they party and my new tyrannical RA lords over me? Hear me and hear me well, Prospective Student. On-Grounds housing is a move. Trust me– I’ve never lived anywhere else. With those basic characteristics in mind, here’s a rundown of on-Grounds options with special highlights about the places I’ve lived. Damn! What a beaut. The gem of Lambeth Field Residences is certainly Lambeth Field. On nice days, you can catch all sorts of athletes out here, ranging from the Ultimate Frisbee club team to local Charlottesville soccer leagues to UVA’s football team. The field is also open to anyone and everyone who wants to throw or kick a ball with friends, sunbathe, study, or hammock. Students and community members love this field– recently, there was a huge uproar when a rich private donor tried to turn it into a softball stadium and students organized to petition, protest, and preserve the field for public use. As for the apartments themselves, they come in either six- or four-person units, with each room being a double. The apartment has a (small) kitchen, living room, and either 1.5 or 2 bathrooms. Pro-tip: you’re able to choose which apartment you live in, and it’s absolutely worth it to visit Lambeth and figure out which apartments have vaulted ceilings. The vaulted ceiling makes all the difference– your living room will feel so much more spacious. I lived in Lambeth my second year. My friends and I had decided to all live together, but we only had 5 out of 6 spots filled. We were randomly assigned a sixth person, a transfer student who had applied to live in Lambeth, and he turned out to be a wonderful addition to the group. The entire year was characterized by tomfoolery and shenanigans. We decked out our apartment with all the best Goodwill decor. At the end of the year, we had so much weird art and odd objects that we decided to host an art show. We wrote little placards for each object, invited our closest hundred friends, and even had a film screening of moments from the year. It’s one of my top college memories. Don’t let anyone tell you on-Grounds housing can’t be fun. Lambeth is one of several on-Grounds apartment complexes– check them all out on the Housing & Residence Life website. Five minutes from the Lawn sit three unique on-Grounds options: the language houses. These are communities dedicated to an immersive language experience. One houses French speakers, another Spanish speakers, and the last (Shea House) is home to enthusiasts of all other languages. Third year, I lived in Casa Bolívar. It was certainly a new experience to get to know a group of 20 new people in another language. The house dynamic was fun: there were often people lounging in the living room or making breakfast together. I got into many a good discussion, all of us working to navigate the limitations of our not-quite-fluent Spanish. That was probably the best part: that it was a learning experience for everyone without any pressure to be perfect. I’ll be real though, the Spanish House pales in comparison with the French house (or more accurately the French mansion). If you speak French, you should absolutely try to live here. I tried to fake it but they caught on to me (apparently just repeating “parly view” isn’t “real French”). I haven’t had the chance to live in a residential college, so I’ll leave it at that and allow one of our future blog posts to teach you all about these options. That wraps up this brief rundown of on-Grounds options. And if none of those strike your fancy, you can always throw your name into the hat for a historic Lawn room in your fourth year. Doesn’t get much more on-Grounds than that. 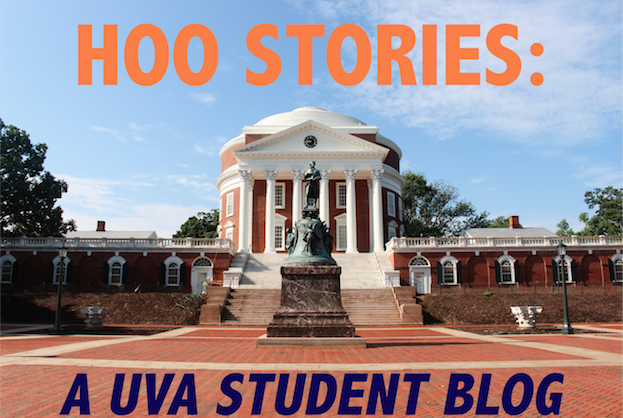 Hey guys, it’s Brynna here to give you the run-down on the student health center at UVA. professionals who are here to help you with that. medications you need without having to go very far. bloodwork done, this is where you’ll go. struggling with the pollen count in Charlottesville (the beautiful flowers come at a price, let me tell you). awesome, and all students could benefit from their services in some capacity. make sure that you’re taking care of yourself not just physically, but mentally and emotionally as well. from yours truly and my fellow summer interns and remember, a healthy hoo is a happy hoo!